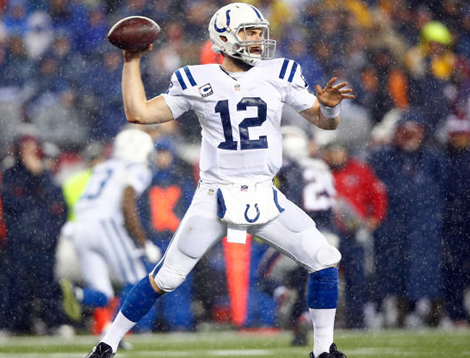 Andrew Luck has signed a new six-year deal with the Indiana Colts. The $140m deal will see the star quarterback with the team through 2021. The 26-year-old. who the Colts selected first overall in the 2012 draft, was entering the final year of his rookie contract. “I am thrilled and excited to continue with this great organisation. I am thankful to the Irsay family and Mr Irsay for providing me with this great opportunity and the trust that they’ve shown in me. I can’t wait for this season to start,” said Luck. “I truly appreciate Mr Irsay and the Irsay family for the level of commitment and trust they’ve shown in me. I’ve loved being a Colt and I’ll continue to love being a Colt. It won’t change my process or preparation in any way. Seattle Seahawks quarterback Russell Wilson signed a four-year deal last year worth $87.6m that featured $60m guaranteed, while Luck reportedly will have $87m guaranteed, or $22m more assured than the old marks to Eli Manning of the New York Giants and fellow quarterback Philip Rivers of San Diego.